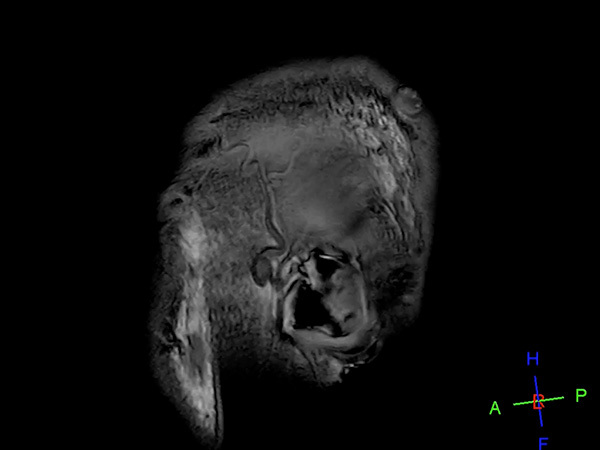 76-year-old male with history of amyloid angiopathy. 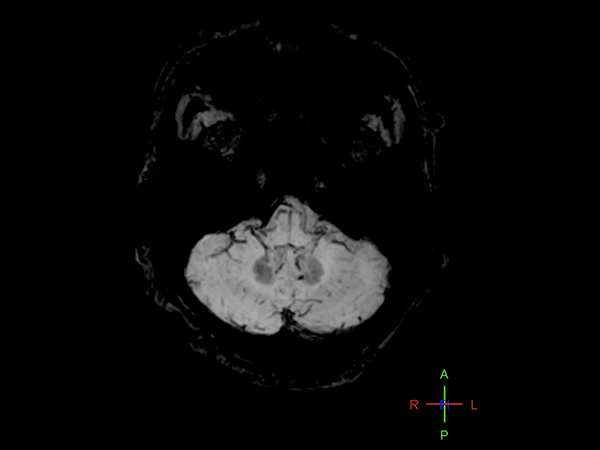 Sagittal T1-weighted images shows chronic deep white matter ischemic changes. Axial T2-weighted and FLAIR demonstrate chronic ischemic changes and old hemorrhage / hemosiderin staining. 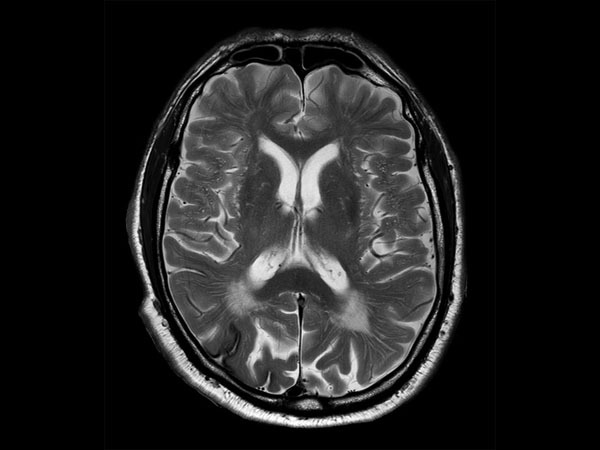 Axial Venous BOLD (Susceptibility Weighted Imaging) image show chronic ischemic changes and old hemorrhage / hemosiderin staining. 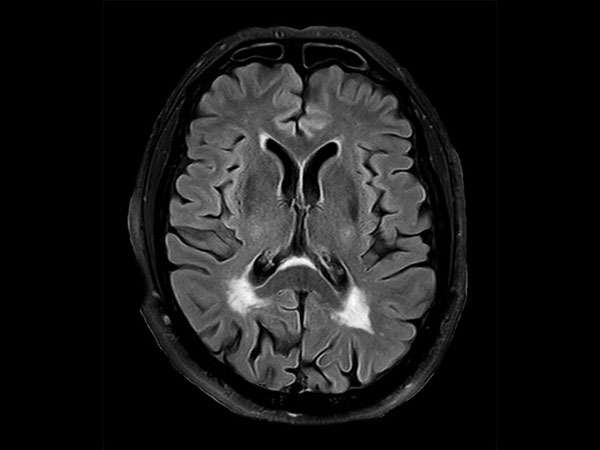 Imaging appears consistent with amyloid angiopathy, no other intracranial lesions are found.